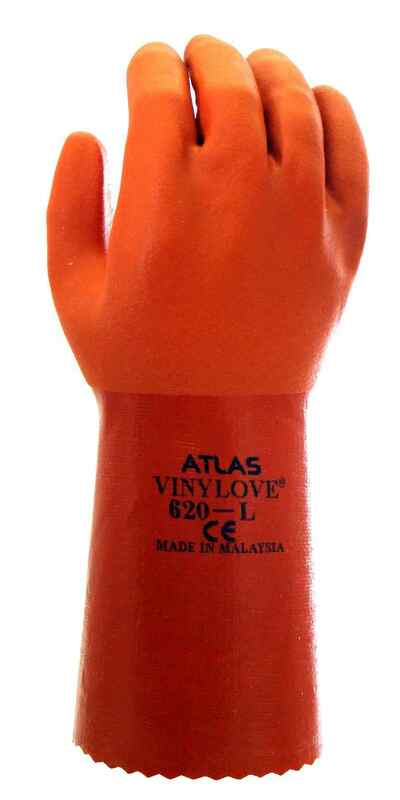 Showa Atlas 620 Vinylove are fully-coated, double-dipped medium-weight PVC gloves that provide oil and chemical resistance. 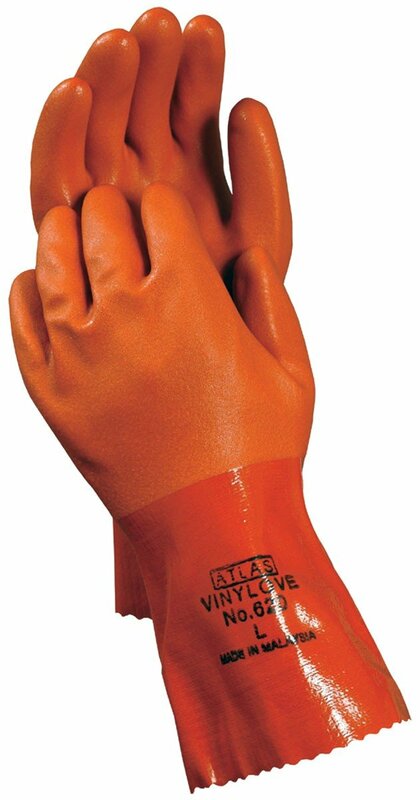 These durable and flexible gloves feature seamless knitted cotton linings for comfort. 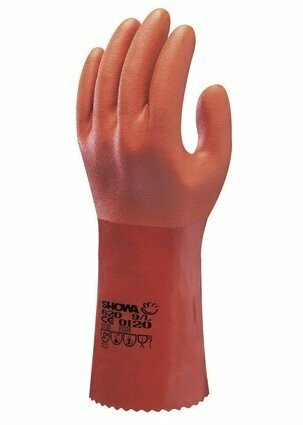 A rough textured coating ensures an excellent grip and increases the abrasion resistance. 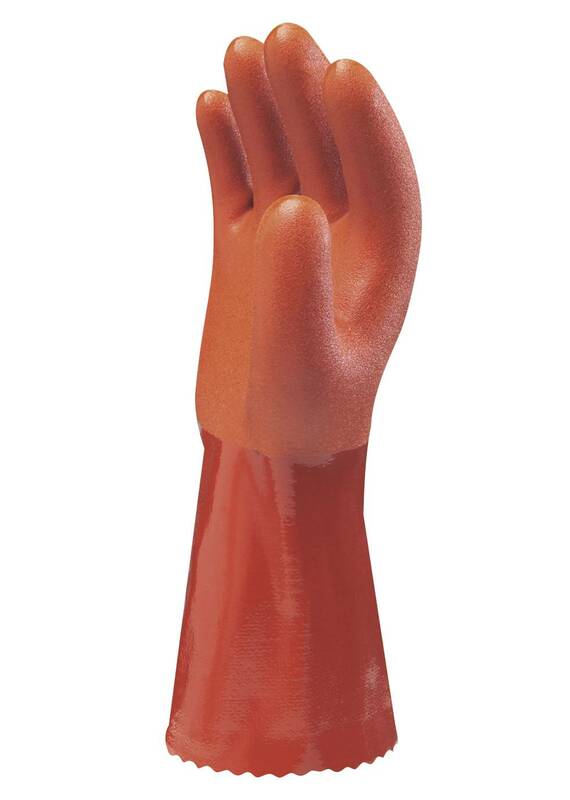 The gloves feature 12-inch-long gauntlet cuffs.